← Meet our new team members! Going to QuiltCon?! While you’re there, make sure you visit us and the 11 C&T authors who will be lecturing and teaching workshops! Alexia is an award-winning designer, artist, and writer. After trying her hand at photography, production, acting, costuming, hair and makeup for film and television, fashion design, and custom sewing, she found her home in creating fine art quilts and sewing patterns while living in Brooklyn, New York. Check out her book Liberty Love, which features a lovely array of quilts, family apparel, and accessories for your home and wardrobe. In the midst of full-time motherhood, Cheryl finds time to write books, teach quilting, and maintain a small freelance writing career. You can see all of Cheryl’s books and products here! 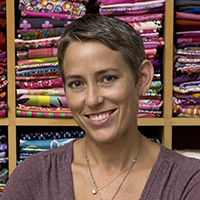 Alissa Haight is one of the founders of the Modern Quilt Guild. Her work has been published in Stitch magazine, Quilter’s Home, and Quilting Arts’ Quilt Scene. When not quilting, she casts reality shows, including seasons seven, eight, and nine of Project Runway. Check out Alissa’s books here! Elizabeth Hartman is a self-taught quiltmaker and designer of modern sewing and quilting patterns. Elizabeth grew up in a family whose members were always making things, and she got hooked on quilting the first time she tried it. She loves the play of color and pattern, the orderliness of the process, and — perhaps best of all — the fantastic and functional pieces that are the reward at the end! View Elizabeth’s best selling titles here! Weeks and Bill Kerr are co-founders of Modern Quilt Studio and have been making modern quilts since 1999. They are the authors of The Modern Quilt Workshop, the first book ever published on modern quilting, as well as Quiltmaker’s Color Workshop, Quilts Made Modern, and Transparency Quilts. You can read more about them & find their books here. Angela Walters is a machine quilter and author who loves to teach others to use quilting to bring out the best in their quilt tops. Her work has been published in numerous magazines and books. Take your quilts to the next level with Angela’s books…view them here! 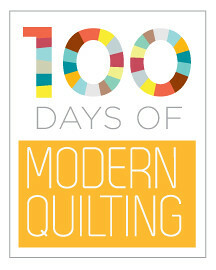 Kim’s quilts have also been featured in West Elm, Apartment Therapy, and Design Sponge. 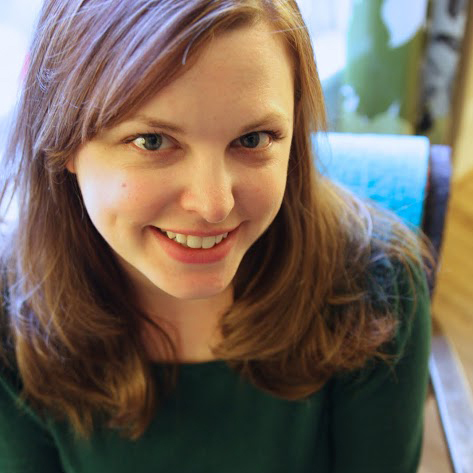 Kim currently lives in Kansas City, where she does math daily, grows tomatoes, hugs cats, and is an assistant professor in the Fiber Department of the Kansas City Art Institute. Create a one-of-a-kind quilt with hand-dyed fabrics using Kim’s book, Modern Color! Victoria Findlay Wolfe, painter, photographer, and quilter, was raised on a farm in rural Minnesota. She learned to sew and quilt when she was four years old! Victoria is currently the president of the New York Metro Mod Quilt Guild and a member of New York City Empire Quilters and Minnesota Quilt Guild. She is also on the board of directors for the Alliance of American Quilts. Check out Victoria’s line of products and books here. She is an avid quilter and designer, drawing her inspiration from masterpieces of the past as well as the contemporary world. Two of her quilts were included in the inaugural QuiltCon quilt show in 2013. Casey has released several stand-alone patterns, and her work has been featured in Modern Quilts Unlimited and Stitch magazines. She also teaches workshops in embroidery-finished applique and improvisational applique. Delight your eyes with bold minimalist quilts that give the illusion of depth and distance in Casey’s book, Modern Applique Illusions! In 2010, Mary created Quilty (New Track Media), a weekly online program she hosts for beginner quilters. She now serves as editor and creative director of Quilty magazine, available bimonthly on fine newsstands nationwide and via digital subscription. Since 2011, Mary has served as co-host of Love of Quiltingon PBS/Create Network alongside her mother, quilter and educator Marianne Fons. Mary’s popular Make and Love Quilts will warm your heart, soul, and bedroom! Not able to make it to QuiltCon? No problem! We’ve got a special offer just for YOU! Right now, get 25% off any of the above authors’ books and products at ctpub.com by using promo code QUILTCON25 upon checkout. is Mary Fons going to be at Quilt Con? Teaching? Is Mary Fons going to be at Quilt Con? If so, will she be teaching? Pretty exciting! I’ll be there!